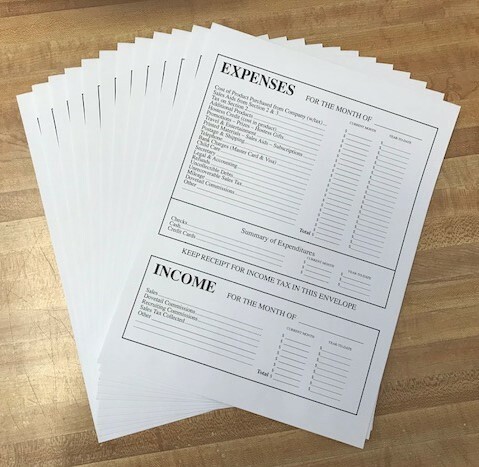 Simplify tax time with these simple-to-use record keeping envelopes. There are 12 envelopes (1 for each month of the year). Put all your receipts in an envelope during the month and then just total them by category on the front. At the end of the year all your income and expenses will be done and ready for your accountant.